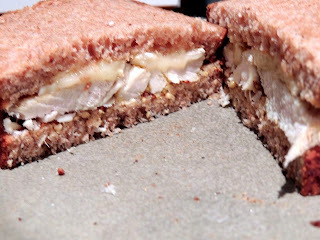 Black Friday isn't complete until you've had a turkey sandwich, but if you have a lot of Thanksgiving leftovers, you might want some more creative ways to eat them, like actual recipes that turn extra turkey, stuffing and cranberry sauce into brand new meals. Eat Drink and Be Me to the rescue! Here are 12 recipe ideas that are specifically designed to use up Thanksgiving leftovers. Treat your family to some or all of them this holiday season. 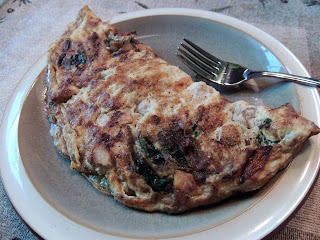 This recipe is written for one omelet. 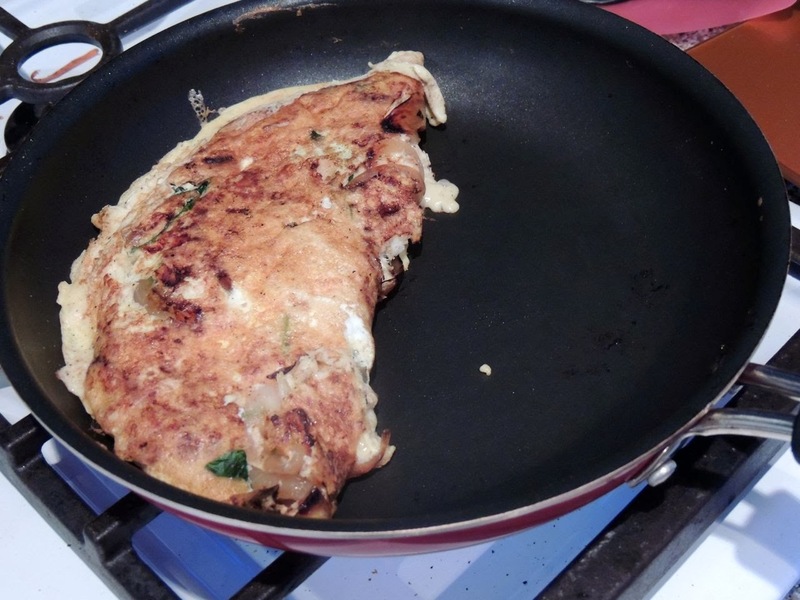 Repeat steps to cook multiple omelets. Spray a frying pan with Pam butter flavor spray and heat over medium-high heat. Add onion and cook until caramelized. Add spinach and turkey. Cook until turkey is warm and spinach is wilted. Spread mixture evenly on the bottom of the pan. Mix eggs, water and Chipotle Tabasco together until well blended. Pour egg mixture into the pan on top of the turkey and veggies. Cook until set. You can lift up the edges of the egg and tilt the pan to allow uncooked egg to get to the bottom of the pan and cook faster. Once set, sprinkle with TexJoy or salt and pepper. Sprinkle with cheese. Fold egg in half. Let cook for another minute. 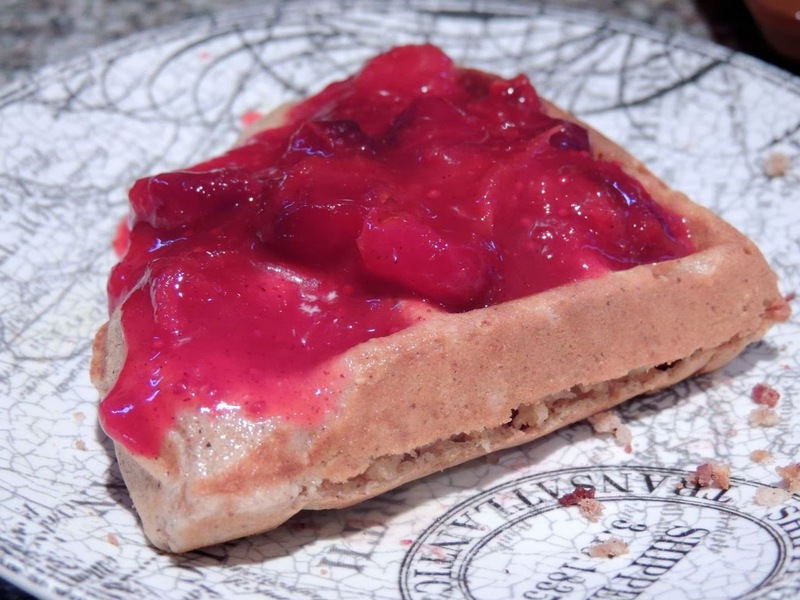 Leftover Cranberry Sauce is delicious as a pancake or waffle topping, or you can spread it on toast. Basically, use it in place of strawberry jam. This morning, I had a Multi-Grain Waffle quarter topped with an ounce of Sweet Cranberry Sauce. The whole thing has less than 90 calories! It's a great breakfast for the morning after a Turkey Day feast when you don't feel like eating a lot but still want great flavor! Easily give leftover stuffing a crispy twist! This makes a great side dish. I used leftover Buttermilk Cornbread Stuffing, but you can use whatever stuffing you have leftover. Heat a frying pan over medium-high heat and spray with Pam butter flavor spray. 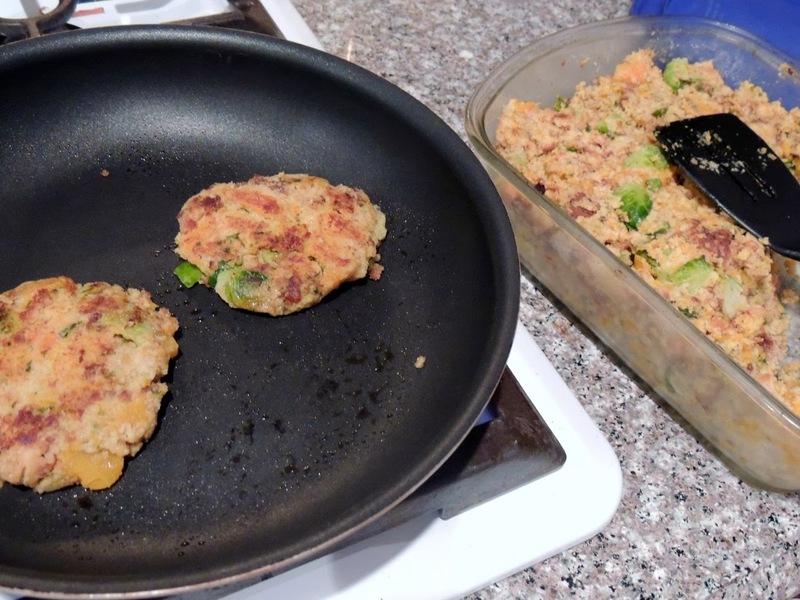 Form 1/4 c stuffing into a ball and place it in the pan. Smash it down with a spatula. Cook for 3-5 minutes, or until the bottom of the stuffing cake starts to brown. 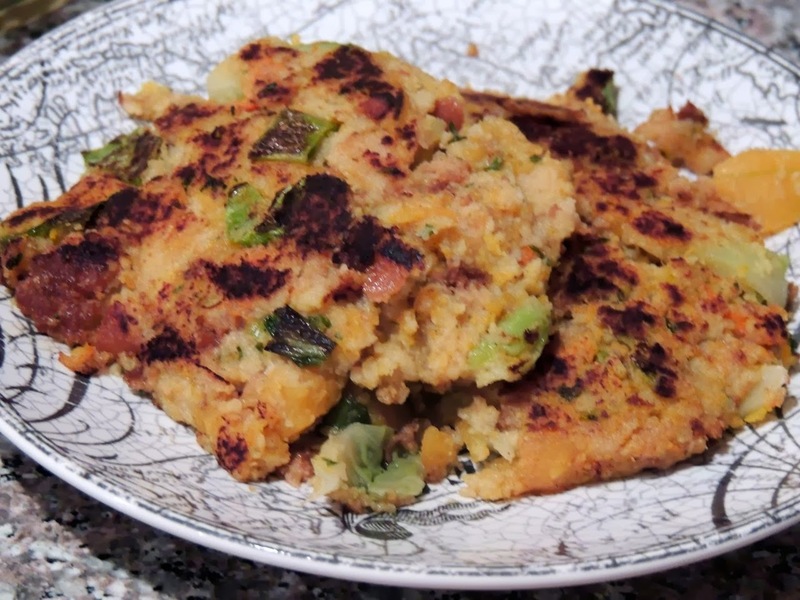 Flip stuffing cake over and repeat. 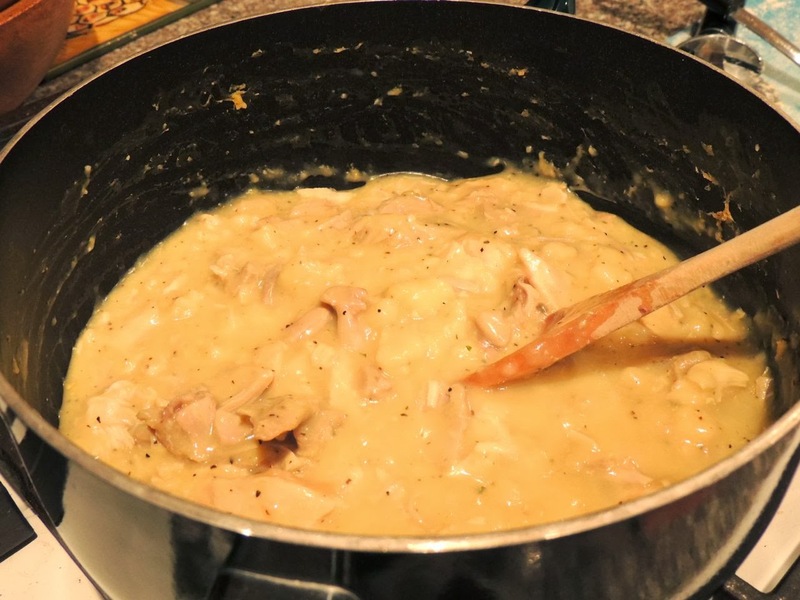 This is an easy and delicious warm meal after a long day searching for Black Friday deals! This recipe serves 2 people as an entree or 4 as a side dish. You can always multiply the ingredients to whip up a bigger batch. Add all ingredients except cheese to a small pot and cook over medium heat until the stew thickens. Transfer to a serving bowl and top with cheese. Chicken shouldn't have all the fun! Turkey is just as delicious on a BBQ pizza. Heat frying pan over medium-high heat and spray with Pam butter flavor spray. Add onions and mushrooms and cook until the onions are caramelized and all the water has cooked out of the mushrooms. Mix turkey with 2 tbsp BBQ sauce. Roll out the pizza crust and put it on a pizza pan. Top it with the remaining BBQ sauce and then add the turkey. Sprinkle the mozzarella and Gouda evenly over the turkey. Add the onions and mushrooms. Sprinkle Parmesan on top. Bake for 8-10 minutes or until the cheese is melted and golden brown. 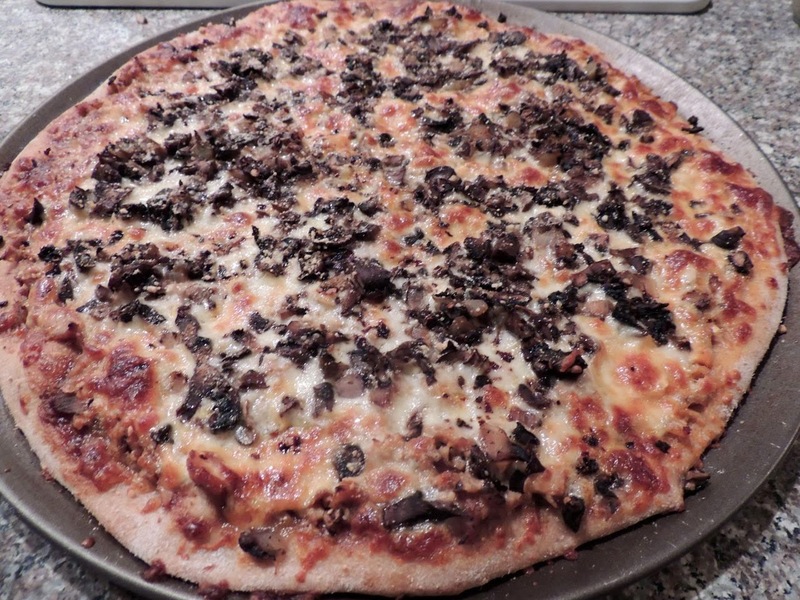 If you like your pizza spicy, this easy variation is for you! 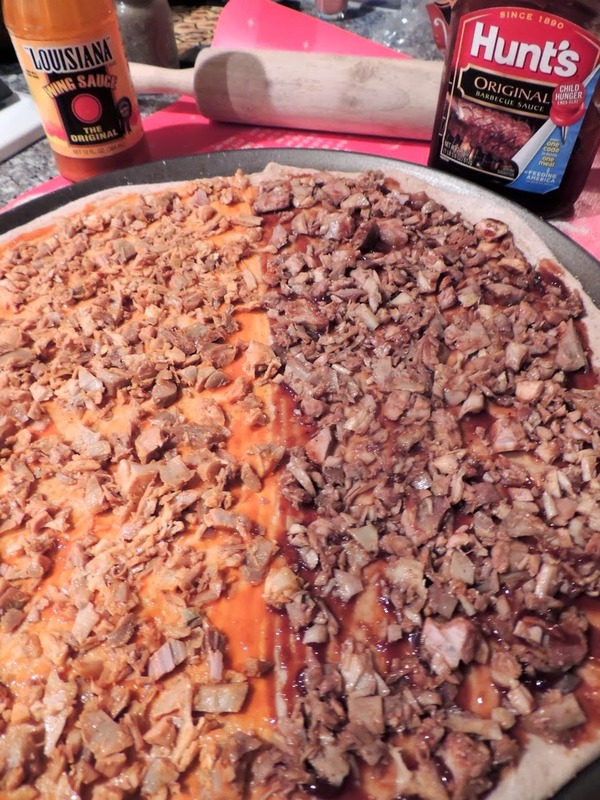 Follow the directions exactly as for BBQ Turkey Pizza but use Wing Sauce instead of BBQ sauce. You may want to use a little bit less sauce (like 1/4 or 1/3 c) depending on how much heat you can handle! 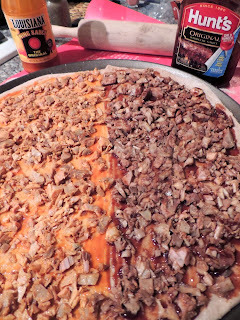 If you're like me and can't decide which sounds better, BBQ or Wing Sauce, you can easily make a half and half pizza like you see in this picture. Just divide the turkey in half and mix half with BBQ sauce and half with wing sauce. Put BBQ sauce on half of the pizza and top with the turkey that was mixed with the BBQ sauce. Put wing sauce on the other half of the pizza and top with the turkey that was mixed with wing sauce. Otherwise, follow the directions as described for the BBQ Turkey Pizza. Yum! If you saved the broth from your turkey, you're in for a real treat! If you didn't, no worries. You can use chicken broth instead. 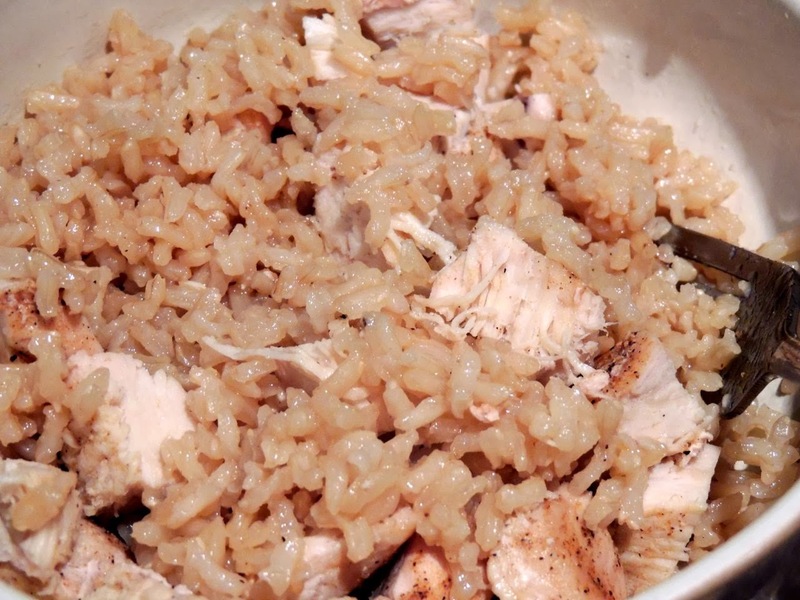 Follow the directions on your bag of rice, but use turkey broth instead of water. 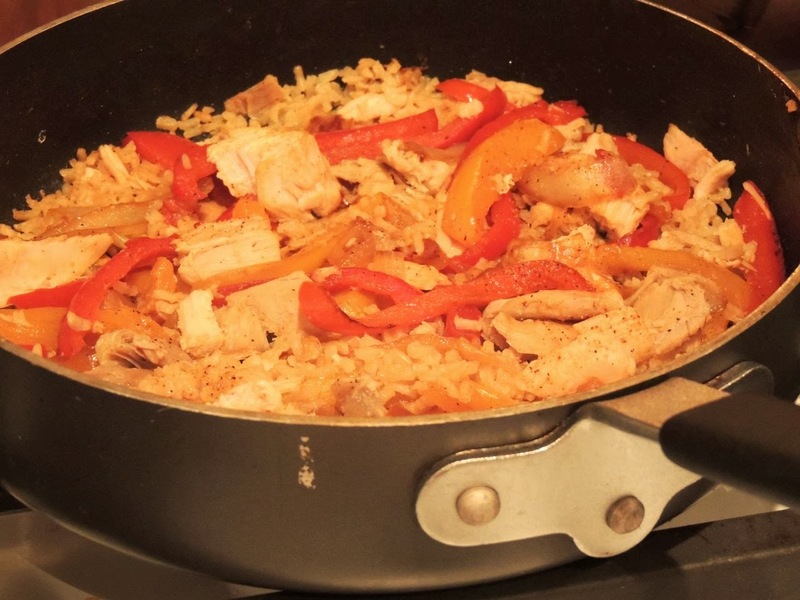 When the rice has finished cooking, add turkey, stir and cook until turkey is hot. This recipe serves about 4 people and would be delicious accompanied by my Everyday Salad and/or Baked Sweet Potato Fries. 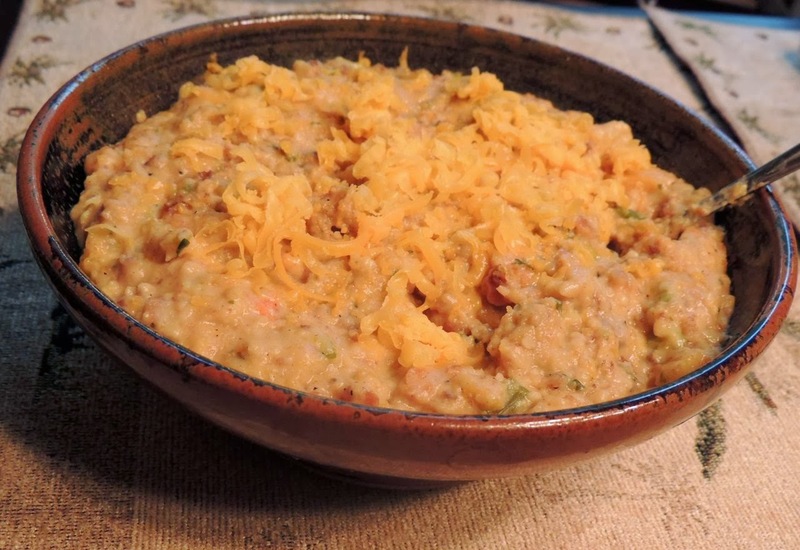 Or, use this casserole as an ingredient in the next two recipes! 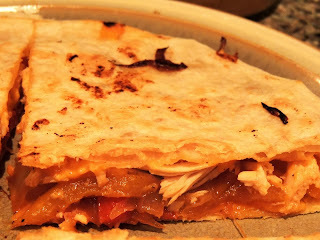 This recipe is the first of three Mexican-inspired recipes. It makes one burrito which has about 500 calories and serves one person. 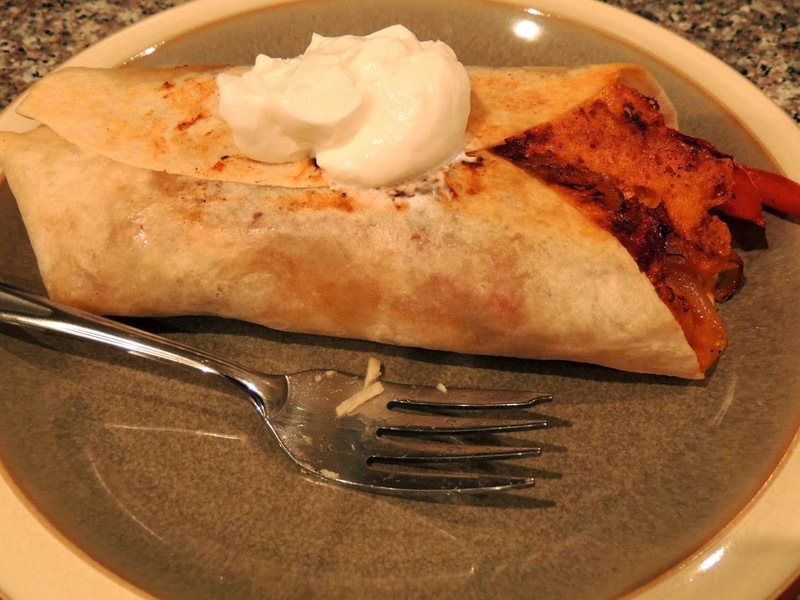 You can easily multiply the ingredients to make multiple burritos for your family. Heat a griddle (or frying pan) over medium-high heat and spray with Pam butter flavor spray. Add bell pepper and onion and cook until caramelized. Sprinkle with TexJoy or salt and pepper. 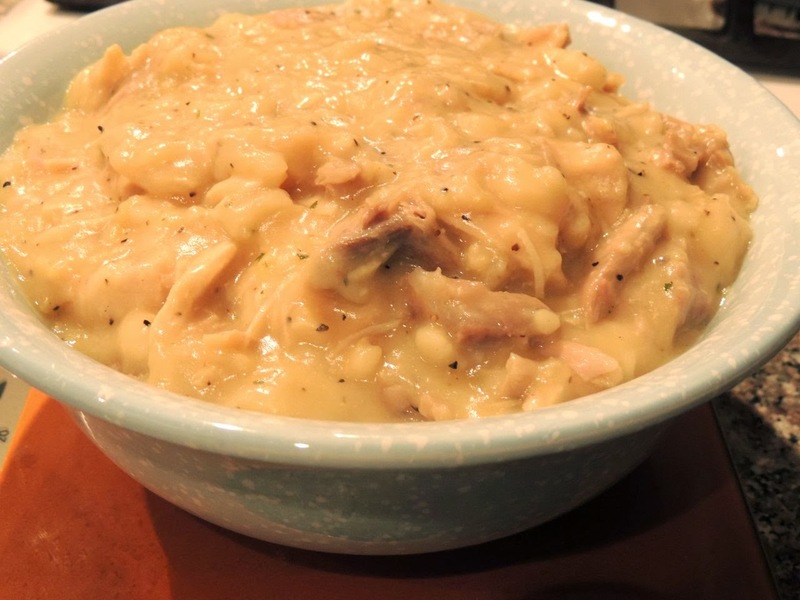 If your Turkey & Rice Casserole is cold, heat it up in the microwave for about 30 seconds or until warm. Sprinkle 1/3 of the cheese onto the center of the tortilla. Top with Turkey & Rice Casserole. Top with another third of the cheese. Top with peppers and onions. Top with remaining cheese. Fold your tortilla. I find that this is fairly easy to do by folding one end up, then one side across and the other side across until they meet. (I like my burritos crispy, but if you don't like a crispy tortilla, you can skip the following step.) 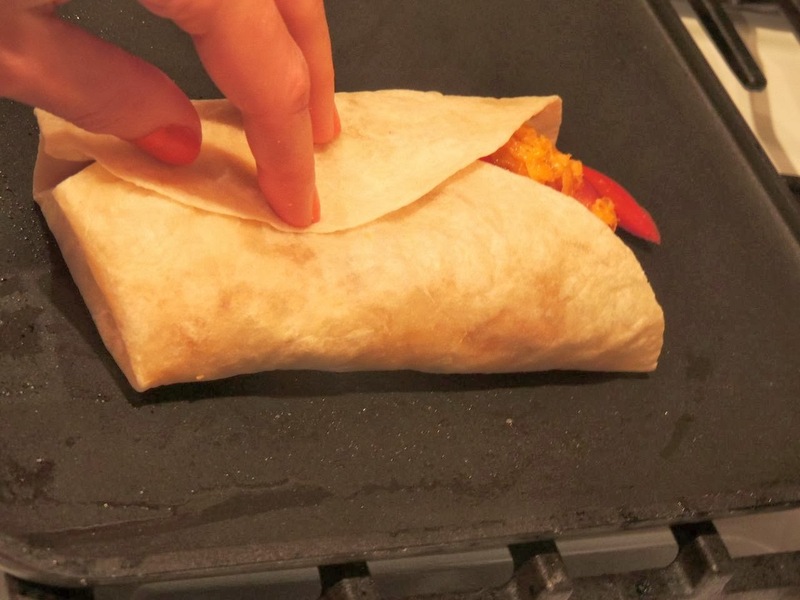 Hold the burrito closed and transfer it to the griddle. 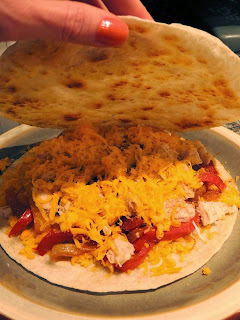 Cook until the bottom of the tortilla is golden brown. Flip the burrito over and cook until that side is golden brown as well. 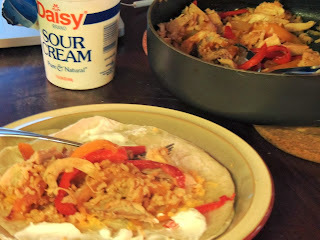 Transfer to a plate and top with sour cream if desired. Fajitas are fun, and turkey makes them festive! This recipe probably serves 2 people (or just my husband if he's really hungry!). It'd be great with my Everday Salad on the side. Heat a frying pan over medium-high heat and spray with Pam butter flavor spray. Add bell pepper and onion and cook until caramelized. Sprinkle with TexJoy or salt and pepper. Add the Turkey & Rice Casserole and cook until warm. 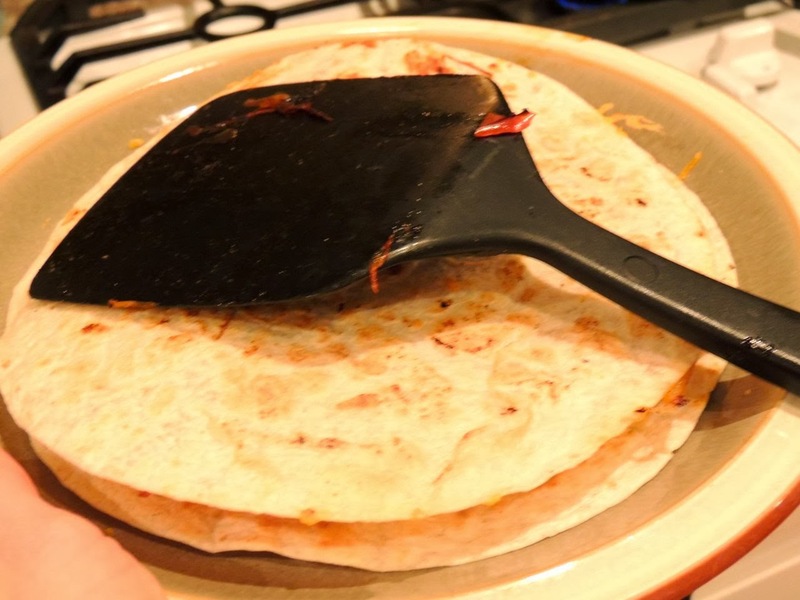 Heat the tortillas up in the microwave for 15 seconds; flip them over and heat another 15 seconds. The fun part is assembling everything at the table! Put the frying pan on a pot holder in the center of the table and dig in! Everyone has their own preference for how to assemble fajitas, but my suggestion is to spread one tbsp of sour cream on the inside of the tortilla, sprinkle with 1/2 oz cheese and add a quarter of the mixture from the pan. Roll up and enjoy! This recipe has about 500 calories and serves 1 hungry person for an entree or 2-4 people for an appetizer. It would be great accompanied by my Everyday Salad. Heat a griddle (or frying pan) over medium-high heat and spray with Pam butter flavor spray. 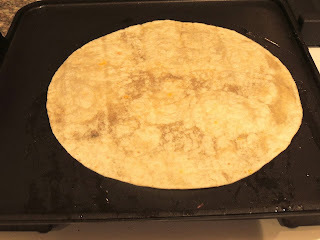 Put one tortilla on the griddle and cook until the bottom is crispy. Transfer to a plate, crispy side up. Put the other tortilla on the griddle and cook until the bottom is crispy. Set aside. Put the bell pepper and onion on the griddle and cook until caramelized. Sprinkle with TexJoy or salt and pepper. Add the turkey and cook until warm. 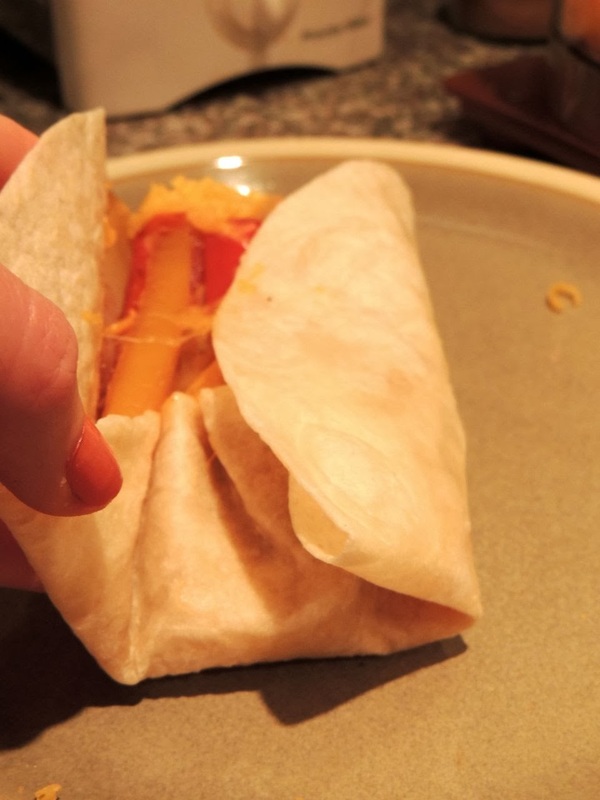 Sprinkle half of the cheese on top of the crisp side of the tortilla on the plate. 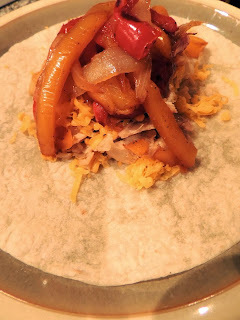 Add peppers, onions, and turkey. Top with remaining cheese. Put the other tortilla crisp side down on top of the cheese. 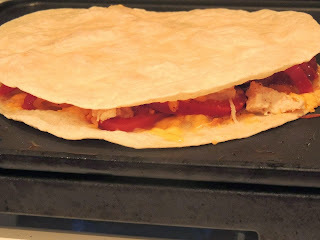 Put the quesadilla on the griddle and cook until the bottom tortilla is crispy on the bottom and the cheese is melty. Flip the quesadilla over. 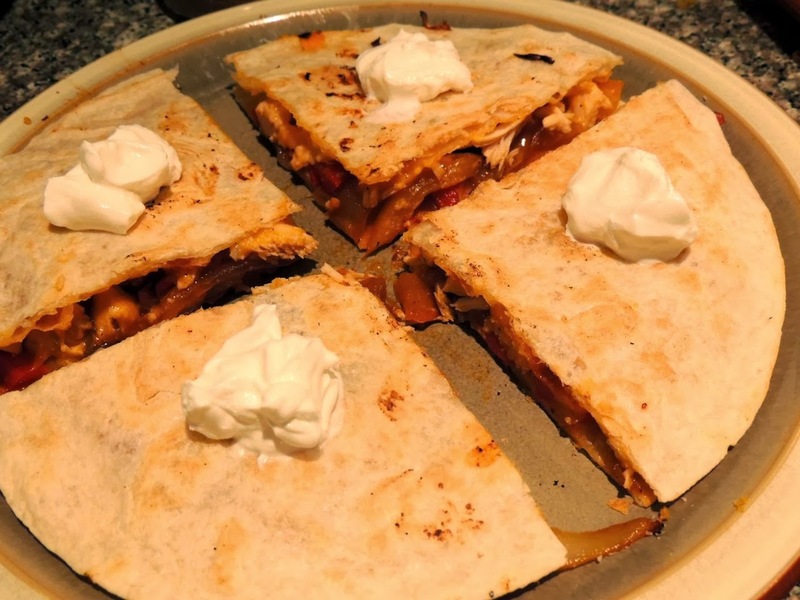 An easy way to do this is to pick the quesadilla up with a large spatula and hold a plate upside down on top of the quesadilla. Flip the plate over. Voila! 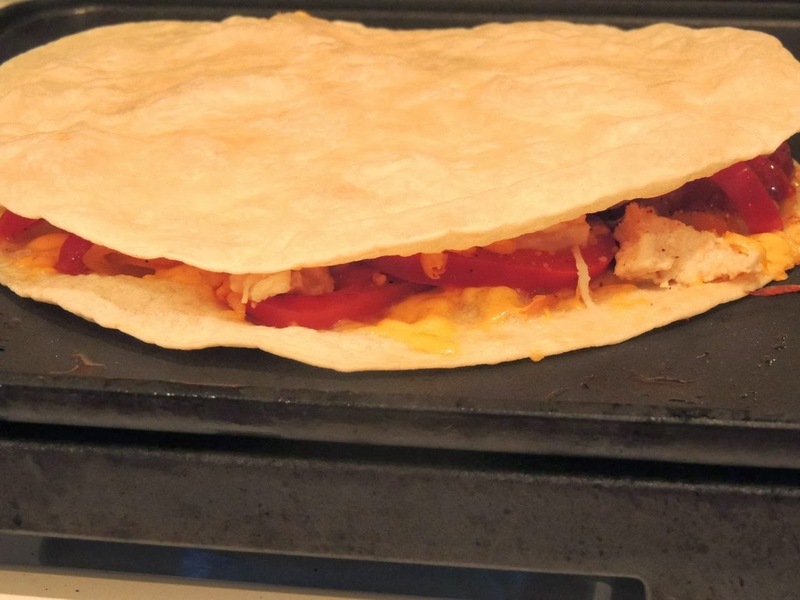 Place the quesadilla back on the griddle and cook until the bottom of the bottom tortilla is crispy. Transfer to a serving plate and cut into 4 pieces. Top each piece with 1/2 tbsp sour cream, if desired. If you have leftover turkey broth, you'll want to use it! If not, you can substitute chicken broth. This recipe serves 2 people for an entree or 4 people for a side dish. I recommend serving it with my Everyday Salad or Baked Peppers & Mushrooms. Combine the flour, salt and baking powder for the dumplings. Add buttermilk and stir until smooth. Let rest for 5 minutes. Roll out the dough on a lightly floured cutting board to about 1/2-inch thickness and cut into 1/2-inch squares. I find that a pizza cutter works well. Put the broth, lemon juice and pepper in a pot and simmer over medium heat. Drop the dumplings into the pot. It's okay if a little extra flour gets in the pot; it'll just make the broth thicker. The dumplings will swell and puff up. Cook for about 20 minutes or until the dumplings are no longer doughy. Add the turkey and cook for another 5-10 minutes. If the broth gets too thick, add a little more broth or water. If the broth is too thin, add a little flour. Why not make it extra amazing by adding triple cream brie! Heat the turkey in the microwave for 30 seconds or until warm. Spray the insides of the bread with butter spray. Spread mustard on one side. Top with turkey. Sprinkle with TexJoy or salt and pepper. Top with brie. Top with toast, butter side down. Put the plate in the microwave for 30 seconds or until cheese is melted.